The full-size sedan doesn't get the credit it deserves. In the era of crossovers, big sedans are often overlooked. That's a shame considering how impressive the 2017 Nissan Maxima is. Sitting at the top of its class, this big sedan offers comfort, performance, and space in an attractive package. With an outstanding engine and luxurious options like diamond-quilted seat inserts and mahogany trim, you might be surprised the 2017 Nissan Maxima isn't offered in a luxury brand. Features like automated emergency brakes and adaptive cruise control add a measure of safety, confidence, and pleasure to your drive. It's hard to find more car for your money than the 2017 Nissan Maxima. If you're looking for a 2017 Nissan Maxima in Idaho Falls, ID, look no further than Ron Sayer Nissan. We've been proudly serving Idaho Falls and the surrounding community of east Idaho including Ammon, Pocatello, and Rexburg for years. Visit our Nissan dealership to test drive the new Maxima for sale in Idaho Falls, ID today! 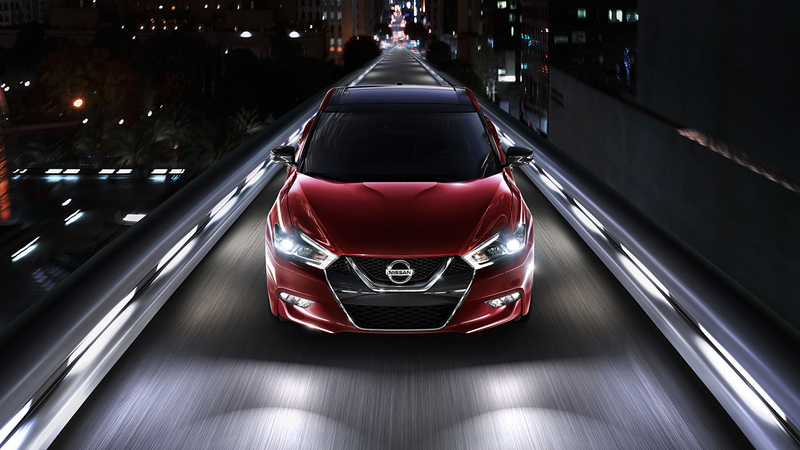 The exterior of the 2017 Nissan Maxima is unlike anything else - even from Nissan. The front end is aggressive, yet classy. The lines of the car make for a much more interesting and attractive design than you might expect from a full-size sedan. A strip of glass extends from the rear windows to connect with the rear windshield in smart design. Step inside the 2017 Nissan Maxima and you'll be welcomed by spacious, comfortable seats both in the front and the back. A bright and colorful 7-inch screen with navigation standard on all trims rests in the well-designed instrument cluster. A nice yet overlooked feature is the flat-bottomed steering wheel making it easier to get in and out of the driver's seat. Every 2017 Nissan Maxima comes with the same fantastic 3.5 liter DOHC 24-valve V6 engine. Anodized pistons, sodium-filled exhaust valves, and high-flow induction give it the performance you crave. The engine can offer 300 horsepower and 261 lb-ft of torque, which allows you to never question the power that comes from the V6 engine. It comes lashed to the Xtronic CVT® transmission. This continuously variable transmission gives you the perfect blend of performance and fuel economy. It gives you a more connected driving experience than you'd ever expect from an automatic. 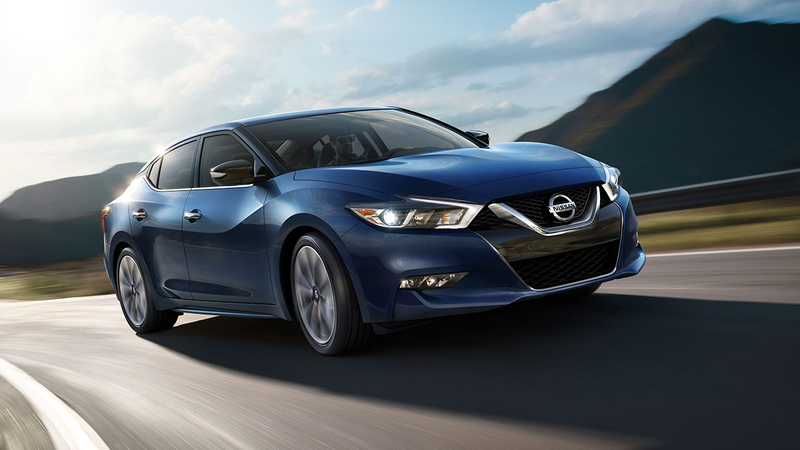 The 2017 Nissan Maxima can get the whole family around in style and comfort. If you're looking for a 2017 Nissan Maxima for sale in Idaho Falls, ID, then Ron Sayer Nissan is the place to go. Our knowledgeable and friendly staff can help you find the perfect vehicle for you. Visit us for a test drive today!